The purpose of this study was to examine how three-dimensional (3-D) models of the Solar System supported student development of conceptual understandings of various astronomical phenomena that required a change in frame of reference. In the course described in this study, students worked in teams to design and construct 3-D computer models of the Solar System. Using a qualitative methodological approach we found that the computer modeling supported students in learning about astronomy concepts that required a change in frame of reference or perspective. These findings are particular important for astronomy education as many concepts in astronomy require changing ones perspective within a 3-D space. Barnett, M. (2005). Using Virtual Reality Computer Models to Support Student Understanding of Astronomical Concepts. Journal of Computers in Mathematics and Science Teaching, 24 (4), 333-356. Norfolk, VA: Association for the Advancement of Computing in Education (AACE). Retrieved April 23, 2019 from https://www.learntechlib.org/primary/p/6025/. Ainge, D. J. (1996). Introducing primary students to VR with Virtus WalkThrough: Two pilot studies. VR in the Schools, 2(1), 10-15. Atwood, R. K., & Atwood, V. A. (1996). Preservice elementary teachers’ conceptions of the causes of seasons. Journal of Research in Science Teaching, 33, 553-563. Barnett, M., & Morran, J. (2002). Addressing childrens’ understanding of the Moon’s phases and eclipses. International Journal of Science Education, 24(8), 859-879. Blumenfeld, P., Soloway, E., Marx, R., Krajcik, J., Guzdial, M., & Palincsar, A. (1991). Motivating project-based learning: Sustaining the doing, supporting the learning. Educational Psychologist, 26(3&4), 369-398. Byrne, C. M. (1996). Water on tap: The use of virtual reality as an educational tool. University of Washington, Seattle, WA. Cobb, S., Crosier, H., Wilson, J., & Wilson, J. R. (2002). Development and evaluation of virtual environments for education. In K. M. Stanney (Ed. ), Handbook of virtual environments; Design, implementation, and applications (pp. 911-936). Mahwah, NJ: Lawrence Erlbaum Associates. Comins, N. (1993). Sources of misconceptions in astronomy. Paper presented at the Proceedings of the Third International Seminar on Misconceptions and Educational Strategies in Science and Mathematics, Ithaca, NY. Dede, C. (2000). Emerging inﬂ uences of information technology on school curriculum. Journal of Curriculum Studies, 32(2), 281-303. Dede, C., Salzman, M., Loftin, R. B., & Sprague, D. (1999). Multisensory immersion as a modeling environment for learning complex scientiﬁ c concepts. DiSessa, A., & Minstrell, J. (1998). Cultivating conceptual change with benchmark lessons. In J. Greeno & S. Goldman (Eds. ), Thinking practices in mathematics and science learning (pp. 155-187). Mahwah, NJ: Lawrence Erlbaum Associates. Dixon, J. K. (1997). Computer use and visualization in students’ construction of reﬂ ection and rotation concepts. School Science and Mathematics, 97(7), 352-358. Furness, T., Winn, W., & Yu, R. (1997). The impact of three dimensional immersive virtual environments on modern pedagogy (Prepared for the National Science Foundation). Seattle: University of Washington. Gay, E. (1994). Is virtual reality a good teaching tool? Virtual Reality Special Report, Winter, 1r, 1r (4), 51-59. Gotwals, R. R. (1995). Scientiﬁ c visualization in chemistry, better living through chemistry, better chemistry through pictures: Scientiﬁ c visualization for secondary chemistry students. In D. A. Thomas (Ed. ), Scientiﬁ c visualization in mathematics and science teaching (pp. 153-179). Charlottesville, VA: AACE. Hay, K. E., Marlino, M., & Holschuh, D. R. (2000). The virtual exploratorium: Foundational research and theory on the integration of 5-D modeling and visualization in undergraduate geoscience education. In B. Fishman & S.
Keating, T., Barnett, M., Barab, S. A., & Hay, K. E. (2002). Developing conceptual understanding of scientiﬁ c concepts through building three-dimensional computational models. Journal of Science Education and Technology, 11(3), 261-275. McLellan, H. (1996). Virtual realities. In D. Jonassen (Ed. ), Handbook of research for educational communications and technology (pp. 457-487). Boston: Kluwer-Nijhoff Publishing. Moshell, J., Michael, J., & Hughes, C. E. (2002). Virtual environments as a tool for academic learning. In K. M. Stanney (Ed. ), Handbook of virtual environments; Design, implementation, and applications (pp. 893-910). Mahwah, NJ: Lawrence Erlbaum Associates. Muthukrishna, N., Carnine, D., Grossen, B., & Miller, S. (1993). Children’s alternative frameworks: Should they be directly addressed in science education? Journal of Research in Science Teaching, 30, 233-248. Osberg, K. M., Winn, W., Rose, H., Hoffman, H., & Char, P. (1997). The effect of having grade seven students construct virtual environments on their comprehension of science. Paper presented at the American Educational Research Association, New Orleans, LA. Parker, J., & Heywood, D. (1998a). The earth and beyond: Developing primary teachers’ understanding of basic astronomical events. International Journal of Science Education, 20(5), 503-520. Parker, J., & Heywood, D. (1998b). The earth and beyond: Developing primary teachers’ understanding of basic astronomical events. International Journal of Research in Science Education, 20(5), 503-520. Pea, R. D. (1993). Practices of distributed intelligence and designs for education. In G. Salomon (Ed. ), Distributed cognitions: Psychological and educational considerations (pp. 47-87). New York: Cambridge University Press. Penner, D. E., Lehrer, R., & Schauble, L. (1998). From physical models to biomechanics: A design-based modeling approach. The Journal of the Learning Sciences, 7(3&4), 429-449. Roschelle, J. (1992). Learning by collaborating: Convergent conceptual change. Journal of the Learning Sciences, 2, 235-276. Roth, W.-M. (1995). Authentic School Science. Netherlands: Kluwer Publishers. Roth, W.-M. (1996). Art and artifact of children’s designing: A situated cognition perspective. Journal of the Learning Sciences, 5(2), 129-166. Salzman, M. C., Dede, C., & Bowen-Loftin, R. (1995). Learner-centered design of sensorily immersive microworlds using a virtual reality interface. Paper presented at the 7th annual International Conference on Artiﬁ cial Intelligence and Education, Pittsburgh, PA.
Schoon, K. J. (1993). The origin of earth and space science misconceptions: A survey of pre-service elementary teachers. Paper presented at the Proceedings of the Third International Seminar on Misconceptions and Educational Strategies in Science and Mathematics, Ithaca, NY. Simpson, W. D., & Marek, E. A. (1988). Understandings and misconceptions of biology concepts held by students attending small high schools and students attending large high schools. Journal of Research in Science Teaching, 25, 361-374. Smith, J. P., diSessa, A. A., & Roschelle, J. (1992). Misconceptions reconceived: A constructivist analysis of knowledge in transition. The Journal of the Learning Sciences, 3(2), 115-163. Sneider, C., & Ohadi, M. (1998). Unraveling students’ misconceptions about the Earth’s shape and gravity. Science Education, 2, 265-284. Stahly, L. L., Krockover, G. H., & Shepardson, D. P. (1999). Third grade students’ ideas about the lunar phases. Journal of Research in Science Teaching, 36, 159-177. Thomas, L. C., & Wickens, C. D. (2001). Visual displays and cognitive tunneling: Frames of reference effects on spatial judgments and change detection. Paper presented at the 45th Annual Meeting of the Human Factors and Ergonomics Society., Santa Monica, CA. Treagust, D. F., & Smith, C. L. (1989). Secondary students’ understanding of gravity and the motion of planets. School Science and Mathematics, 89, 380-391. Wandersee, J. H., Mintzes, J. J., & Novak, J. D. (1994). Research on alternative conceptions in science. In D. Gabel (Ed. ), Handbook of research on science teaching and learning. New York: Macmillan. Winn, W. D., & Jackson, R. (1999). Fourteen propositions about educational uses of virtual reality. Educational Technology, 39(4), 5-14. Yair, Y., Mintz, R., & Litvak, S. (2001). 3D-Virtual reality in science education: An implication for astronomy teaching. 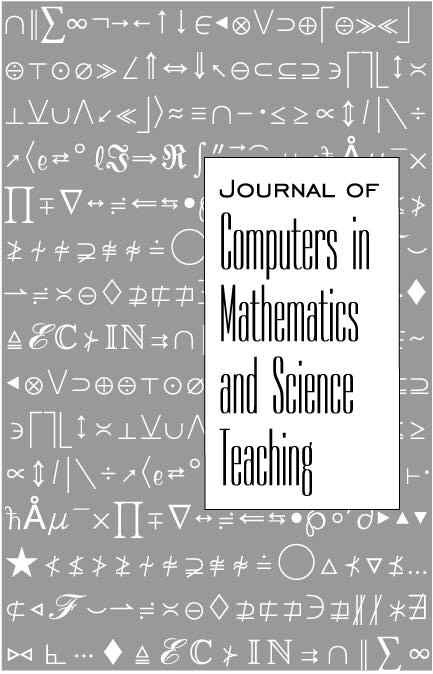 Journal of Computers in Mathematics and Science Teaching, 20(3), 293-305. Youngblutt, C. (1998). Educational uses of virtual reality technology (No. IDA Document Report no. D-2128). Alexandria, VA: Institute for Defense Analyses.